The Frenzy is a very appropriate name for this episode because by the time we get to the end of The Coming, things have started to reach a frenzied pitch. The workers in the pub that Quatermass and Conrad had spoken to have become very suspicious of whatever had employed them to build the food plant structure. 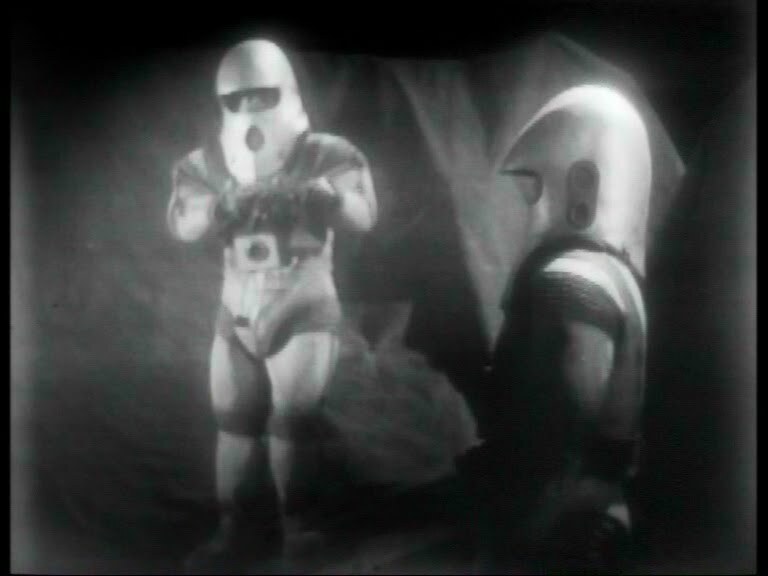 In fact, based on Quatermass’ story, the workers have decided to charge the food plant to get some answers. 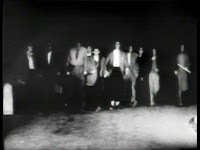 It becomes violent very quickly as the Zombies in the plant confront the workers. The workers are able to get into the pump room which could be used to pump oxygen into the dome. That would be fatal to the aliens. Quatermass is able to join the workers. They are surrounded and need to come up with a plan fast or they will be destroyed. Back at Quatermass’ Rocket centre, Paula knows her father was with Conrad and is trying to find out through the offices of Conrad’s newspaper to tell her where her father is located. She is immediately concerned that the person on the other end of the line is asking more questions about Quatermass’ whereabouts than they are giving her answers. They ask her where she is. As she puts the phone down, more calls come in from other people who are asking where Quatermass is and are trying and get information about the rocket. These people are under control of the aliens and they know Quatermass’ rocket is the only thing to stop their invasion. Paula goes out to the rocket to find Pugh. There is a real chilling scene which benefits from being done live. Paula explains all the strange phone calls she has been getting to Pugh but then stops and looks around. She says, “It’s closing in. Those woods over there, the cut out of the moonlight, the air itself. As if it were changing already.” This is a great scene because it sets get atmosphere even without us having to see anything. Just by seeing Paula’s reaction shows how serious the situation is at the moment as the invasion is going on in the background. The people in Quatermass’ Rocket centre is in real danger. Pugh and Paula are positive Quatermass is in the plant and Pugh decides to go out there and retrieve him. Back at the plant, Quatermass is filling the dome with oxygen, lethal to the aliens. Immediately, there are constant warnings from the plant via loudspeaker announcements filling the pump room where Quatermass and the workers are located. Quatermass knows the aliens are getting desperate because the announcements have moved away from violent threats to a chance to work together and have the workers inspect the plant to see there are no alien influences in the facility. The union leader of the workers, McCloud decides to take them up on their word to meet with them despite the opposition put up by Quatermass and McCloud’s friend Paddy. Soon everyone realizes McCloud made a disastrous mistake. Oxygen was being pumped into the doom to kill the aliens who could not breathe oxygen. Now the pipe funneling in oxygen had been blocked. Blocked by the body of McCloud and a few others who went with him. It is not seen on screen but it doesn’t need to be. It is graphic enough by description. The workers respond the murder of their comrades by firing what appears to be a bazooka at the doom blowing it apart. Gases envelope the near by village. As Quatermass escapes, he finds the car that Pugh is in, passed out. They go back to Quatermass’ Rocket centre. There they are surrounded by the army lead by Captain Dillon still under the control of the aliens. Not only does a lot take place in the episode, it also conveys an atmosphere of terror. 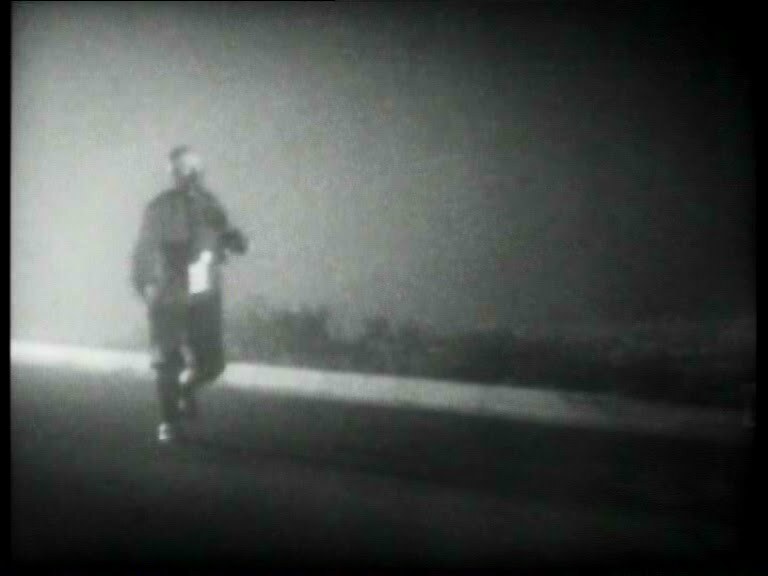 For the first four episodes, Quatermass has been investigating what he thinks is an invasion. With The Frenzy, the invasion is happening and Quatermass is right in the middle of it. Although the food plant is destroyed at the end of the episode, it is only one of a half a dozen plants around the world. Not only does a lot of stuff happen in the episode but it is all done live which is really quite an achievement. The episode is of a high quality of storytelling that many programs made today could not duplicate and those programs have the benefit of having re-takes and not broadcast live. The scenes filmed on location at night such as the workers storming the plant to me are reminiscent of the Russian Revolution. Shots of Quatermass escaping the plant in a basically “every man for themselves” scenario is eerily lit with a lot of fog and Quatermass backlit as he tries to escape what appears to be a post apocalyptic situation. The cliffhanger itself is creepy as we see the return of Captain Dillon, as a zombie, taking over Quatermass’ rocket launch area. There is a story about someone dying during the recording of The Frenzy. Nigel Kneale recalls that during the crowd scene word came back to the studio gallery someone had dropped dead. During the course of the broadcast of the episode, this guy was taken away for treatment. Kneale never knew if the man lived or not. Hopefully he lived! Speaking of Kneale, it was his voiced used for all the loud speaker announcements in the synthetic food plant. With Captain Dillon’s men surrounding Quatermass’ rocket base, Quatermass has no choice but to get Dillon in to talk reason with him. Quatermass needs to launch his rocket to destroy the asteroid with the aliens on it. Dillon enters with his men and gives them a signed order for allowing for the army to take over the rocket base. It’s interesting that although it is not said, it is implied that the orders are signed personally by the Prime Minister meaning that the alien influence has reached as far as Number 10 Downing Street. Perhaps the entire government of not only the UK but every government had been taken over. 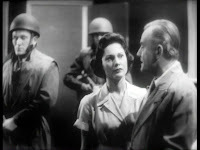 Quatermass is able to talk Dillon out of his orders, appealing to what is left of his human self to allow Quatermass and Pugh to take the rocket on a rendezvous with the alien asteroid. Once in space for many hours, it is clear that Pugh has been under the control of the aliens for hours. 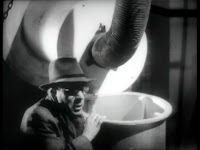 On the surface of the asteroid, Pugh with a gun, fires at Quatermass but the shooting of the gun propels him off the asteroid and to his death. 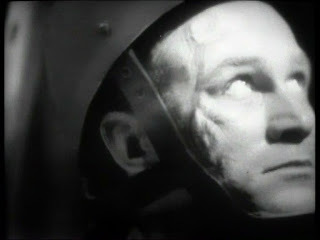 With Quatermass losing his closest friend, he deposits the nuclear core on the asteroid to blow it up. After the aliens are destroyed, the people who were under its influence return to normal including Captain Dillon. The total budget for Quatermass II was around £7600. By the time production began on The Destroyers there was about £600 left to make the final episode. One of the more ambitious episodes, money had to be use to build the inside of the rocket craft as well as the alien surface. This set was nothing more than chair stacked on top of each other with a tarp over them to create the effect of a jagged alien surface. This would have looked fine in the 1950s but even with the lower quality of the telerecordings presented on the DVD, the effect is not very convincing. Though, it is still a mammoth feat to try to pull of all of these locations on a very small budget while being done on live TV. 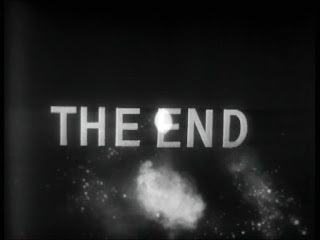 Though not nearly as enjoyable of an episode as The Frenzy, The Destroyers bring a satisfying end to the serial. The fun part of watching Quatermass II is looking at some of the guest artist who had shown up in this serial and recognizing them from other productions. The first notable is Hilda Barry in The Bolts as Mrs. Large. She was a wonderful character actor who also appears in Quatermass and the Pit, The Prisoner, and I even just recently saw her in an episode of The Ace of Wands. Wilfred Brambell, best known as Albert Steptoe from Steptoe and Son, appears in The Mark as a tramp. He appears in a slightly similar role in the 1954 BBC version of Nineteen Eighty-Four. Just as Nigel Kneale does the alarmed and mysterious voice on the loudspeaker in The Frenzy, his voice also appears in Nineteen Eighty-Four in a similar fashion. Hugh Griffith, who played Dr. Leo Pugh had a prolific career and was nominated for an Oscar for Best Supporting Actor in 1959 for Ben-Hur and again in 1963 for Tom Jones. Cyril Shaps as a Control Assistant in The Destroyers. I know him best in multiple roles he played in Doctor Who and was happy to see him here. Of course for the Doctor Who fan, one of the biggest names to appear in the serial was Roger Delgado who is usually referred to as The Master. He played the reporter Conrad who came to an unhappy end as he was trying to wire the story of the invasion to his newspaper. 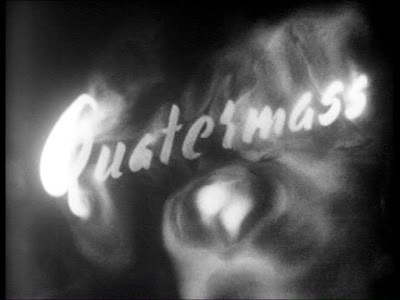 Does Quatermass II hold up today? Of course I would say yes because I am a collector and fan of such programs. I can see past dodgy effects, black & White television and focus on the story. I would be interested in seeing someone of a younger generation sit down to watch this. Not all in one go but broken up in similar fashion to how I have viewed it over a period of time. These programs are not generally meant to be watched in one sitting. Would they appreciate the story and significance to television history? It would be an interesting experiment. This serial and the character Quatermass are still very much beloved fixtures to the British public. This serial was made into a Hammer Film in 1957 starring Brian Donlevy in his second outing as Professor Quatermass. There was a spoof by Comedian Bob Monkhouse which included Monica Grey who played Paula Quatermass in the original serial. Its influence runs from Doctor Who to The X-Files. Sadly, Nigel Kneale approached the BBC about doing a prequel to Quatermass reportedly titled Quatermass and the Third Reich which would have seen Quatermass in Germany in the 1930s. This was rejected by the BBC. Quatermass did return to the screen again in 2005 in a live remake of The Quatermass Experiment. By this time, Kneale was no longer the writer but was a consultant to the production. Nigel Kneale passed away in 2006 but leaves behind a wonderful legacy which includes this very unique and complicated character in the form of Professor Bernard Quatermass. Next Week: I pay tribute to Director Pennant Roberts by viewing a few of his episodes he directed for the BBC. I will look at Doomwatch: Waiting for a Knighthood, Survivors: The Fourth Horseman, Blake’s 7: Space Fall.